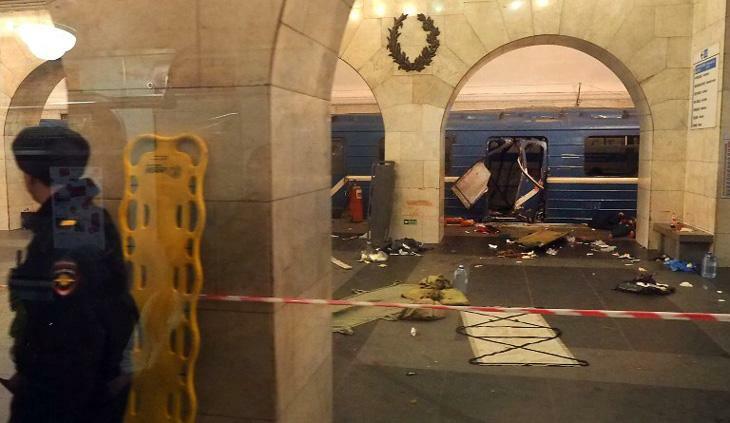 At least 10 people have been killed after an explosive device was detonated on an underground metro train in St Petersburg in Russia. 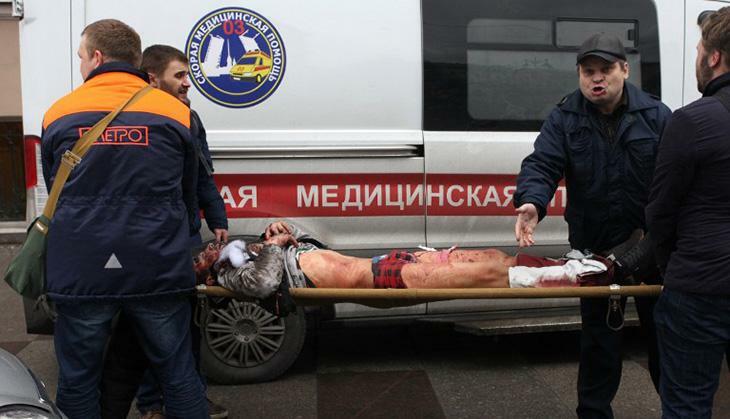 The blast reportedly occurred at the Sennaya Ploshchad station, at about 2.30 pm (5 pm IST) as the train was pulling out of the station towards Technological Institute metro station. Photographs of the scene emerging on social media show one of the doors of a metro train blown out, and a number of people with injuries. Eyewitnesses said people had to exit the carriage using windows as the doors did not work. 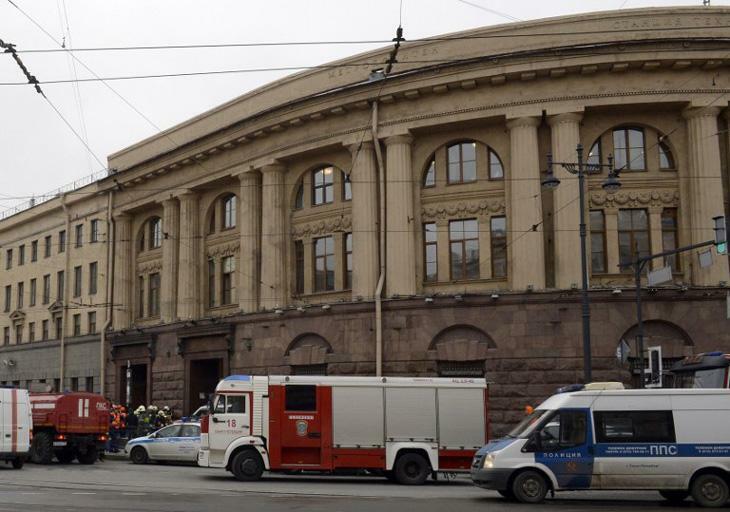 Andrei Kibitov, spokesman for the St Petersburg governor, told Russian television that 10 people had been killed and about 50 injured in the blast. 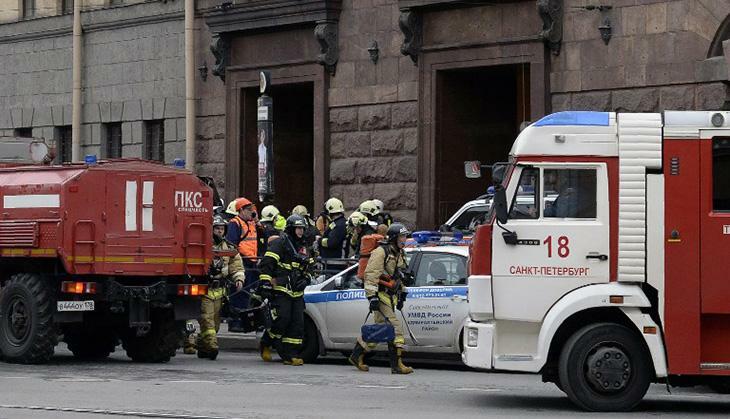 The news agency Interfax quoted law enforcement sources claiming the blast was caused by explosive material placed in the carriage. 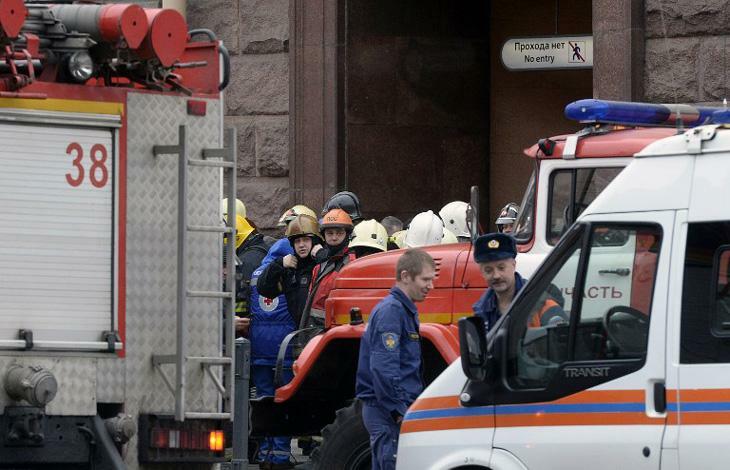 Russia’s general prosecutor said the explosion was a terrorist attack. 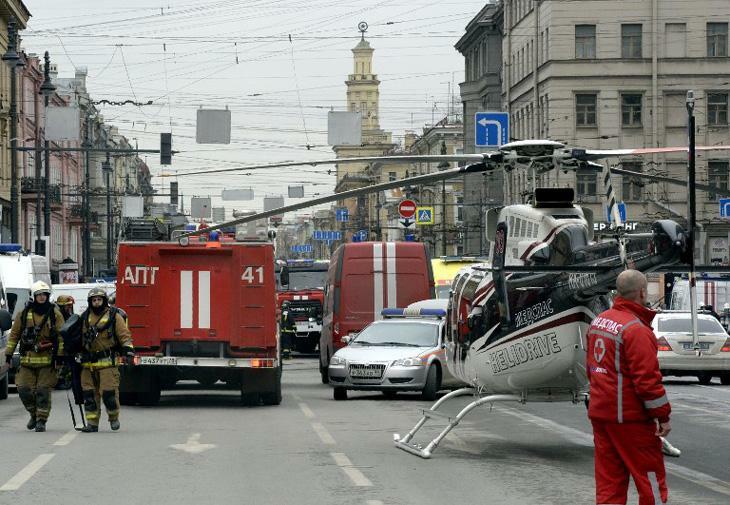 The city’s metro system was closed in the aftermath of the blast, and a number of streets at ground level were also shut off, as medical helicopters landed at the scene to evacuate the injured. St Petersburg’s main airport, Pulkovo, was also closed. 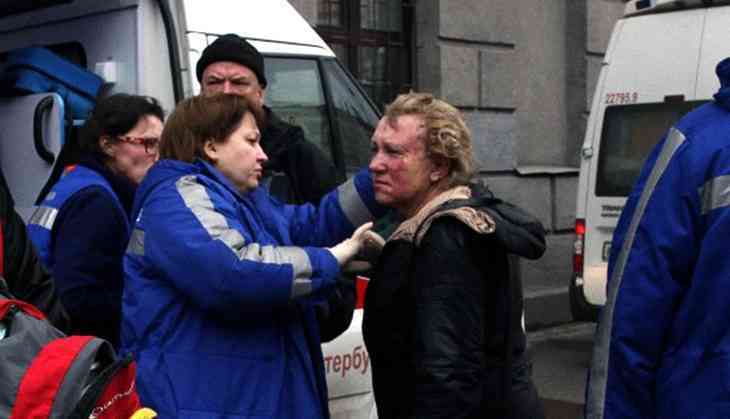 About an hour after the blast, Russian president Vladimir Putin expressed his condolences to families of the victims. He said it was “too early to say” what had caused the blast, but that it could be “criminal or terrorist”. Putin said he had already spoken with the director of the FSB security services and other law enforcement agencies to keep him updated with the situation.